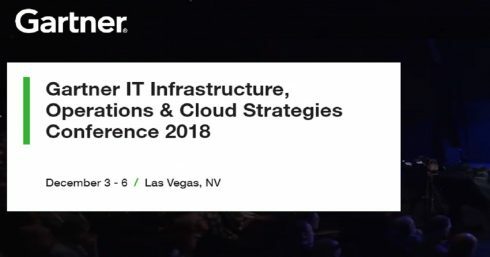 The future of IT infrastructure is about being always on, and always available, everywhere, according to a presentation by Gartner at its IT Infrastructure, Operations and Cloud Strategies, held this week in Las Vegas. But putting IT into a position of responsibility for business outcomes, not merely supporting the business, presents challenges as those organizations go forward. Also at its conference, Gartner analysts identified 10 trends that will impact I&O in 2019. As functions replace infrastructure provisioning and management, Winser said IT operations must take an application-centric approach, managing APIs and service-level agreements instead of servers. Gartner said AI-derived business value will approximate $3.9 trillion by 2022. The focus for 2019 and beyond, WInser said, must be creating network agility, based on automation and analytics, to keep pace with demand. Winser explained that 5G and the growth in IoT devices are factors that will place new demands on the network. Gartner expects 80 percent of enterprise to move to the cloud or colocation and hosting sites by 2025. As edge devices process the increased flow of information, organizations will need to rethink what they deploy and manage. Winser says the critical time for edge adoption is between 2020 and 2023. The need for discovery and maintenance of assets that affect finances and the welfare of an organization’s customers will require IT to prepare for a shift from traditional asset management, Gartner said. I&O leaders will have to present the higher-ups in the organization with an explanation of how staffing levels and roles can affect business performance and strategic objectives. SaaS adds a level of complexity for infrastructure that managers haven’t yet come to terms with, according to Winser. Up until now, IT professionals had very specialized skills, based on the technology stacks they were managing. As organizations make their digital transformations, they need people who can work across stacks to prevent work stoppages, Gartner said. GigaSpaces announced at the conference the general availability of InsightEdge Platform v14.0 and XAP v14.0, to simplify customers’ development and deployment of applications required for time-sensitive and mission-critical services. Avi Networks sees service mesh as the future of application delivery, security, and visibility, with the potential to reshape the nearly $12 billion market for application services (load balancing, security, and monitoring). To that end, the company this week announced Universal Service Mesh, adding two major enhancements to the Avi Vantage Platform. Avi is delivering enhanced, full-featured, ingress and gateway services to Istio to facilitate secure connectivity for Kubernetes applications across multiple clusters, regions, or clouds. These include L4-L7 traffic management, security including WAF, and observability. Avi also is integrating Istio within its Avi Controller and extending service mesh features to applications running on bare metal servers or virtual machines. This enables customers to deploy a single service mesh across all of their applications, traditional and containerized, both on-prem and in public clouds. 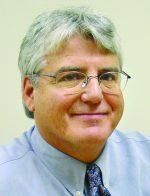 David Rubinstein is editor-in-chief of ITOps Times and SD Times.